Protecting your ankle and providing extra support is extremely important to help prevent ankle injuries while playing football. Due to the nature of the sport, it is quite common for an ankle sprain or fracture to occur due to all the running, cutting and jumping. Often times through a tackle, your foot may also get caught or you may land wrong when coming down from a catch. 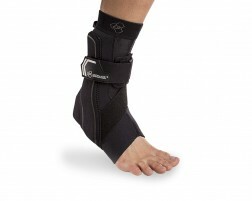 Our bracing experts recommend the following ankle braces for football players looking to prevent injury as well as provide extra stability for a previously injured ankle. Should Football Players Wear an Ankle Brace? Life on the football field is a lot of fun but can have a tremendous impact on your ankles. In fact, aside from knee injuries, ankle sprains are one of the more common football injuries and it's no surprise due to the tackling, cutting and jumping involved. One of the concerns players have about wearing an ankle brace is that it won't fit comfortably in their cleats. 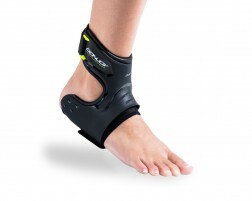 Our ankle braces are designed to fit comfortably in a variety of footwear and that includes cleats. Our football ankle braces vary depending on the type of support you'd like and the type of brace you prefer. We have lace-up ankle braces, velcro braces, and even ones with extra stabilizers on the side to help prevent twisted and rolled ankles. Don't take a chance, protect your ankle before you lace-up for the next kickoff. Still not sure about which ankle brace to pick? 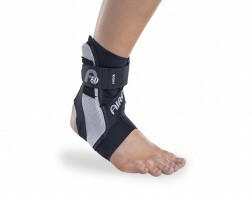 Find from our ankle brace selection guide or contact one of our bracing experts. Injured? Check out our football injury guide to get back into the game with exercises, brace recommendations, treatment and more.